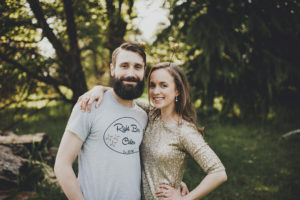 Right Bee Cider has been a labor of love for wife and husband team Katie Morgan and Charlie Davis. 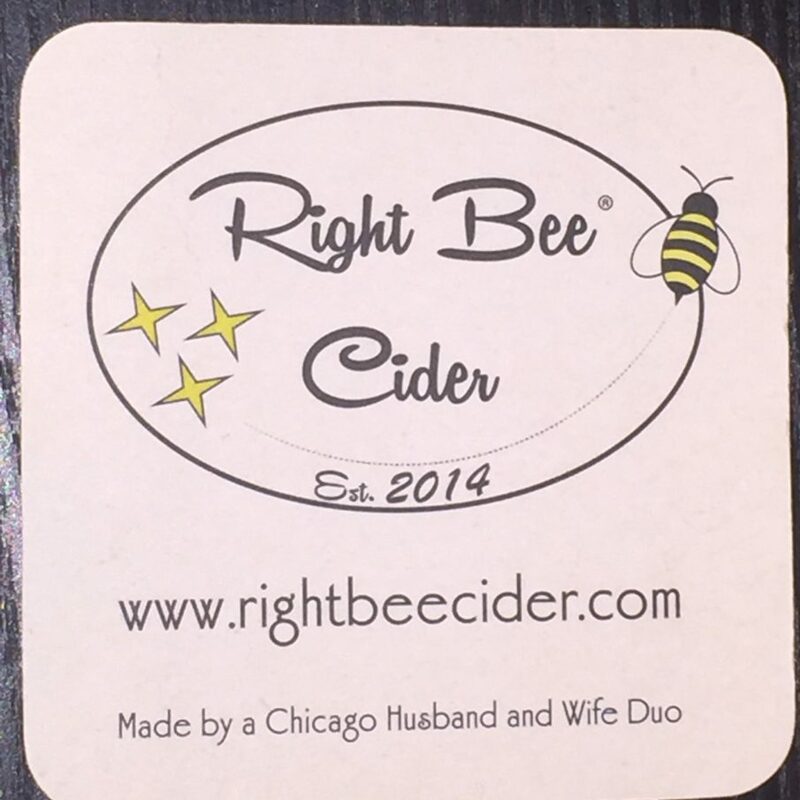 The company launched in November 2014 and has steadily grown in the Chicago area with just one cider in their line. 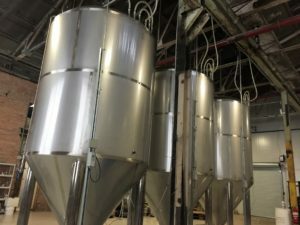 While still holding down day jobs, the couple survived the physically demanding job of cider making which included Charlie running out in brutal Chicago winters to check on their ciders and Katie painting the yellow tap handles. 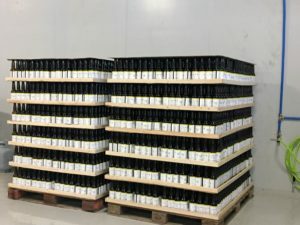 The company grew slowly, first starting out on tap – which is how we first tried Right Bee Cider in 2015 – moving to bottles and then partnering with Jeni’s Ice Cream to produce a cider sorbet. 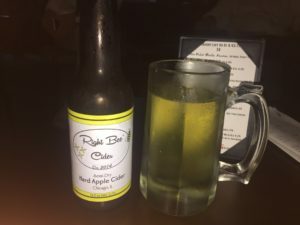 The cider is a blend of culinary apples from Pennsylvania and New York, which is blended with local honey and a small amount of cane sugar. The resulting cider is off-dry, with a bit a warmth from the honey. Check out more in our review here. 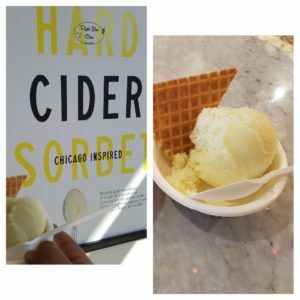 The Hard Cider Sorbet, which was a great treat on a hot Chicago summer day, is a blend of Granny Smith and Right Bee Cider’s fermented apples. The apple flavor was the star of this sorbet which has a texture is similar to frozen applesauce. The tartness of the Granny Smith pairs well with the fermented apples producing a not-too sweet apple forward flavor. 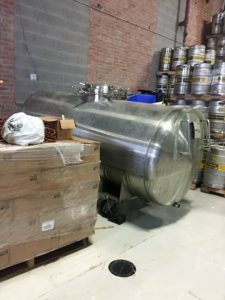 While Katie and Charlie have hired some staff, the husband and wife team still are there every day producing one of Chicago’s finest ciders. 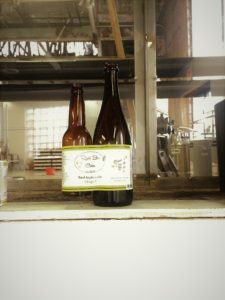 We can’t wait to see what else comes from Right Bee Cider in the future.